National Mathematical Center, NMC Olympiad Science Competition General Time-Table/Calendar Schedule Published for 2018/2019 Session. 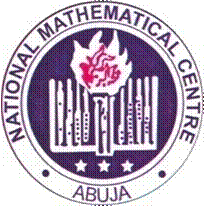 The National Mathematical Center, Abuja has published the General Olympiads Time-Table for the 2018/2019 academic session. Note: Awards (State/ National) – Please note that State awards will be conducted before second round in the 36 states and FCT while the date for the National award will be fixed by the Director/Chief Executive. Defaulters stand to be penalized please.